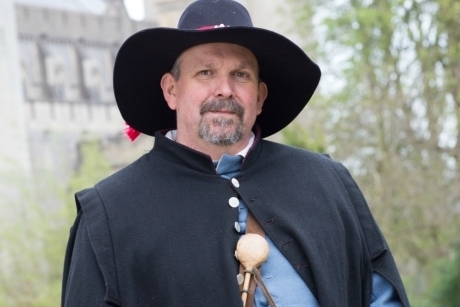 Arundel Castle in Sussex will again host a series of It’s the History Man! performances starting this April, which are suitable for school groups studying History. The shows will see the return of character the historical interpreter who will appear in a range of costumes and guises to help children learn about life in Sussex in years gone by. Arundel Castle has confirmed that there will be more dates for this year’s shows than in in previous years in order to provide more opportunities for schools to visit. Altogether there are 40 planned performances between April and October. The performances will take place in different areas of the castle, allowing students to explore all parts of the attraction whilst getting a taste for castle life. For this year’s programme of performances, two new characters have been added to the interpreter’s repertoire: a Tudor explorer, who sailed around the world and returned to England with new foods; and a Viking Trader who lived in Sussex when the Danish first raided and then became settlers during the 10th and 11th centuries. It’s The History Man! will also welcome back some of the original characters such as the Executioner, Medical Surgeon, and Norman Lord. The performances are suitable for school groups in Key Stages 1, 2 and 3. The return of It’s The History Man! comes as part of the celebrations for the 950th anniversary of Arundel Castle. Special rates for school groups are available at Arundel Castle. In addition, school groups can take part in a selection of workshops that are tailored towards different Key Stages and are curriculum linked. The workshops include Exploring Arundel Castle for Key Stage 1, Art at Arundel Castle for Key Stages 2 and 3, English Civil War for Key Stage 3, and Travel & Tourism for GCSE students. For more information, visit www.arundelcastle.org.